How to make Caesar salad dressing: just mix together 4 simple ingredients and season with salt and pepper. My 9-year-old makes this for dinner for us at least once a week without any help. 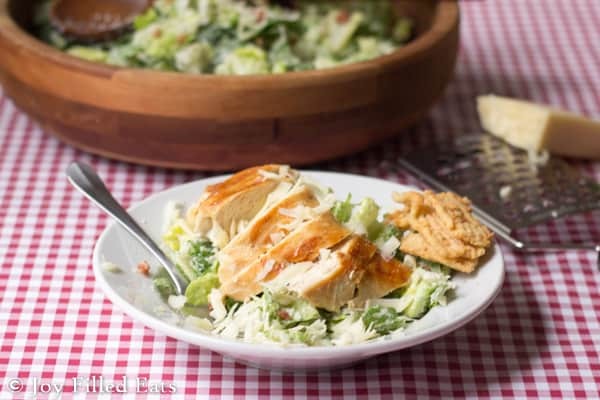 We eat this Easy Caesar Salad in the summer a lot topped with grilled chicken. In the winter I just bake the chicken breasts in a pyrex dish covered with aluminum foil. When I have bacon crumbles I always add them. On occasion, I’ll add sliced mushrooms and red onions too. 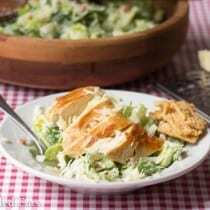 For a complete meal serve this Easy Caesar Salad with my Braided Garlic Breadsticks or Cheddar Garlic Crisps. How to make Caesar salad dressing: just mix together 4 simple ingredients and season with salt and pepper. Mix all the ingredients. If you don't need all the dressing immediately you can mix in a smaller bowl and then store in the fridge for about a week. Mix the dressing ingredients in a large bowl if you are making a large salad. This makes enough dressing for a large bowl of salad using two romaine hearts or one large head of romaine. You can add the lettuce right to the mixing bowl and toss until it is covered with the dressing. Then add the chicken and fold that in gently. Finally, sprinkle the bacon and extra cheese on top. This is enough for one large salad made with two hearts of romaine or one large head of romaine. The nutrition is calculated for 1/6th of the dressing using plain yogurt. Originally published March 23, 2016. Revised and republished March 20, 2018. I made this last night and it was pretty good. Mine came out a little thick though. What do you recommend to make it a bit creamier? Thanks! We like it thick, and once you toss with the lettuce it doesn't matter. But if you want it to be pourable you can thin it with a little unsweetened plain almond milk. The way it is it's also a great dip! 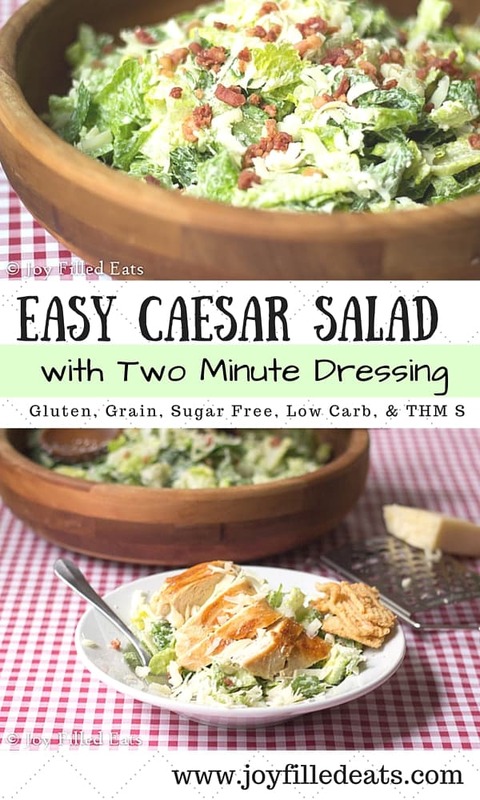 This caesar dressing recipe is amazing!!! The nutrition facts are just for the dressing. This makes almost 1.5 cups of dressing and there are 6 servings. This makes one serving a generous 3-4 tbsp. This was delicious! Made it tonight and my 5 year old had two helpings (she wasn't the only one - ha!). And so very easy to whisk together. Thanks for the recipe! This is so delicious, and very easy! Thank you!! 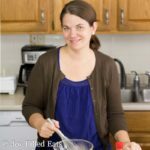 I have tried a number of your recipes, and they are always wonderful. Thank you! So easy and has great flavor. Is this a THM recipe? Yup! 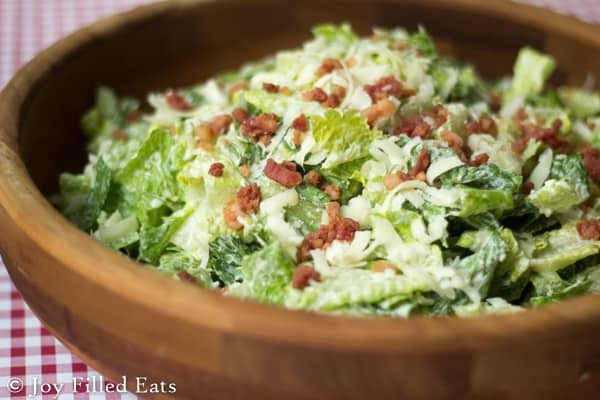 This is an S.
This is my favorite recipe for Caesar. It's so easy and always a hit! I made it a while back and then forgot where the recipe came from, but luckily, I was able to find it again. You are one of my favorites and I love everything I make from your ideas. Thanks so much!